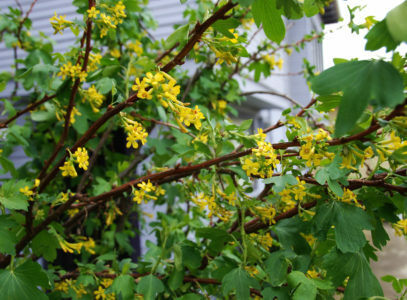 Bridal veil broom is a large shrub that grows 10 ft. tall or more and may be 20 ft. across when full grown. 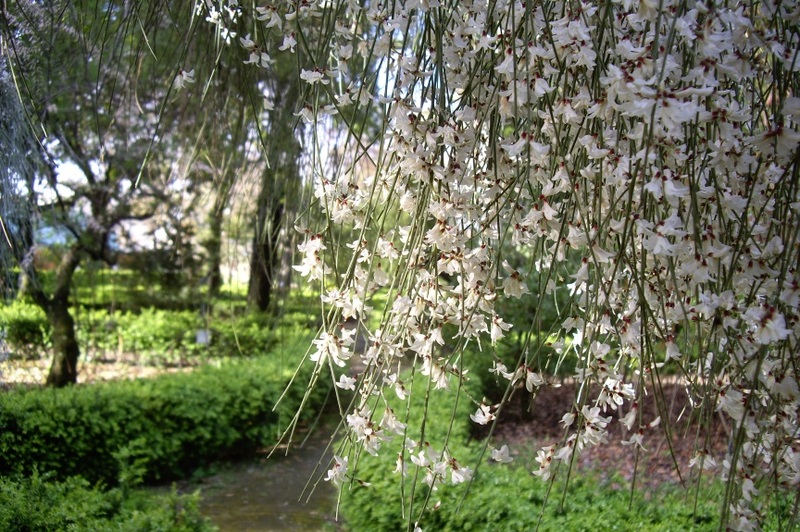 It is gray-green and nearly leafless, with slender branches that droop in a weeping willow fashion. 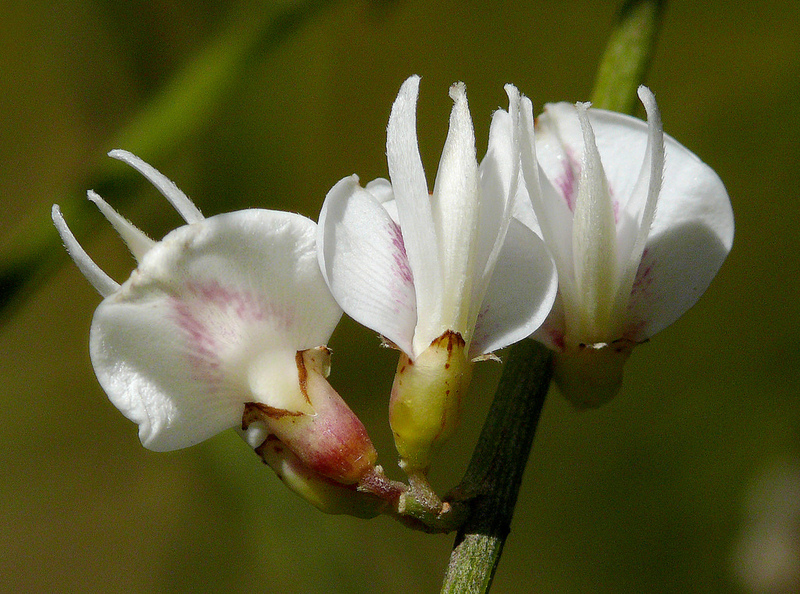 Flowers are small, white, and pea-like, appearing in short clusters from the stems, and usually one seed per pod. 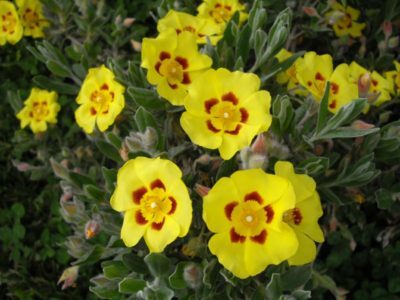 It is native to the Mediterranean region, chiefly Spain and North Africa. Its native habitat is coastal scrub near the coast. 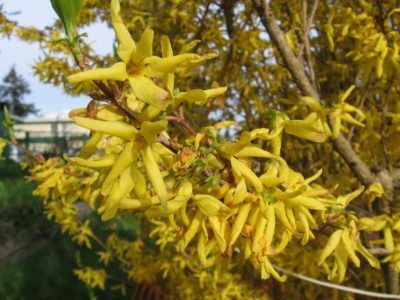 It was cultivated as an ornamental in England as early as 1690. 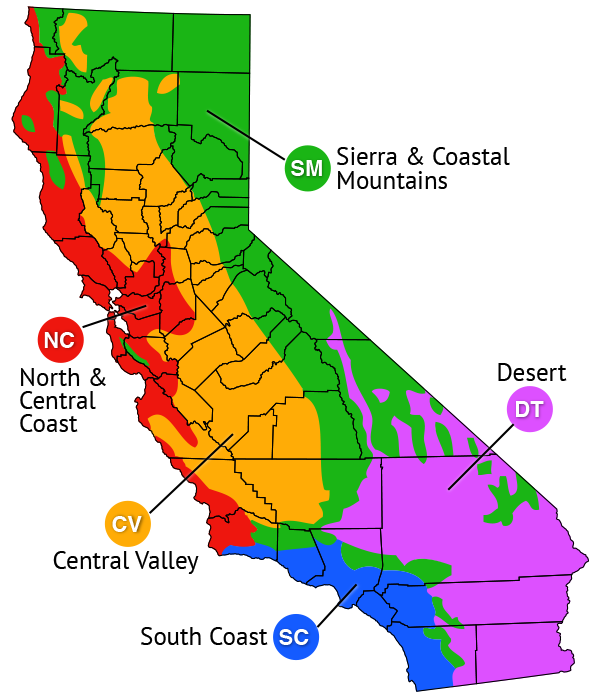 There are a few records of it being cultivated in California since 1916. How does bridal veil broom spread? 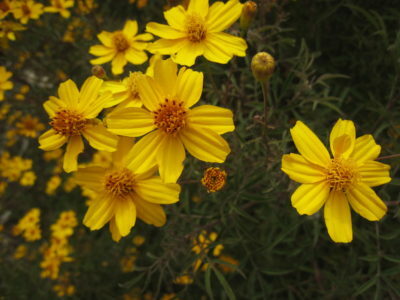 It spreads primarily by seed. Each plant produces hundreds, and larger plants produce thousands of seeds. Ants and birds re the primary seed dispersers. Where is bridal veil broom found? 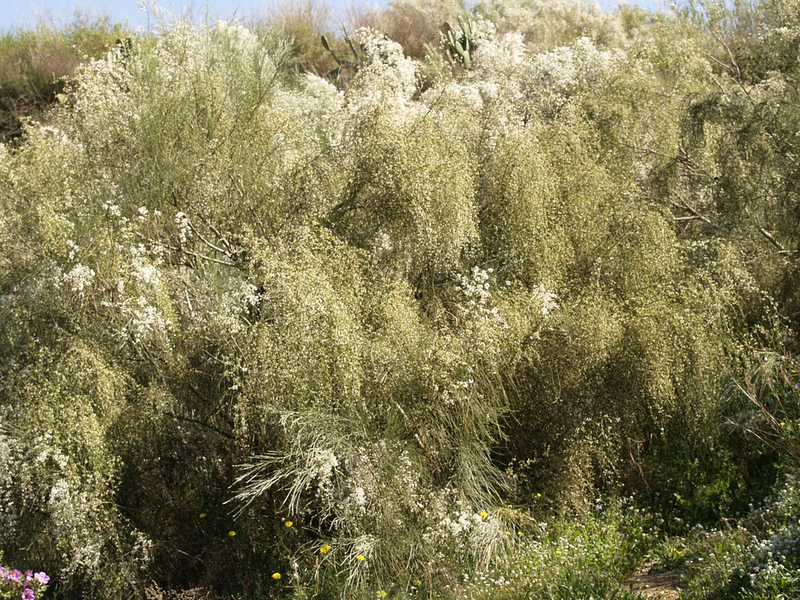 Bridal veil broom is known to occur in the wild in California only on and adjacent to the Naval Ordnance Center, Pacific Division, Fallbrook Annex in San Diego County. 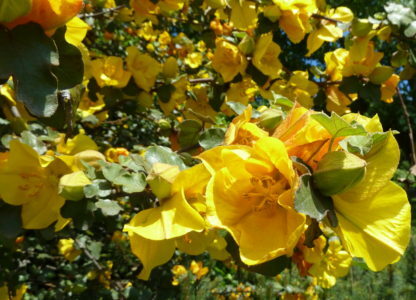 It is believed to have escaped from a nearby plant nursery. It occurs mostly on disturbed annual grassland and disturbed coastal sage scrub. What problems does bridal veil broom cause? 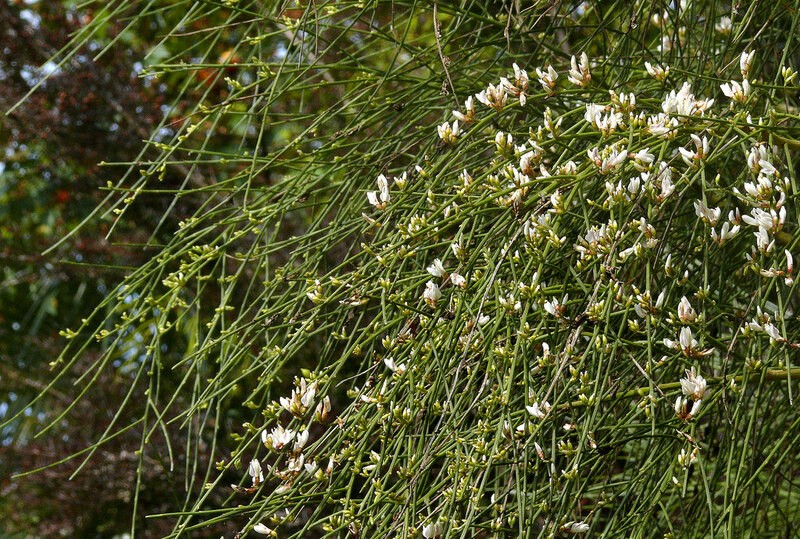 In disturbed habitats and grasslands, bridal veil broom crowds out other vegetation and become dominant. 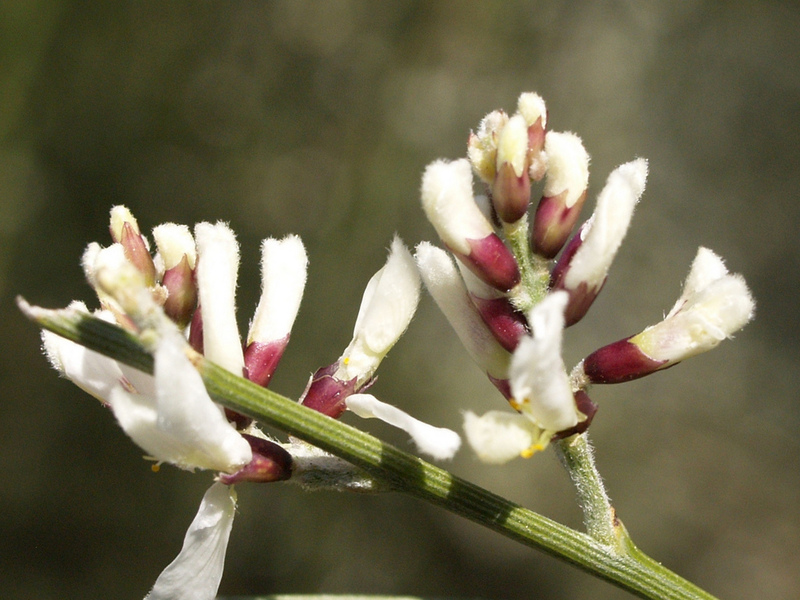 it is a threat to the federally endangered Stephen's kangaroo rat and California gnatcatcher, as animals cannot nest or forage in bridal veil broom. It is unknown whether this plant increase fire risk as it has been in the natural landscape for such a short time.